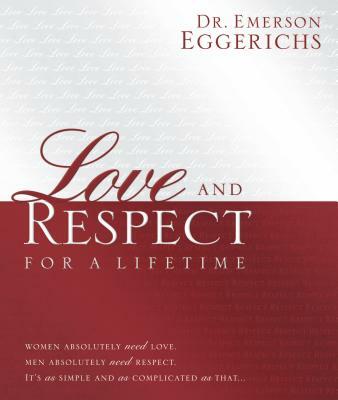 Based on three decades of counseling and research, Dr. Emerson Eggerichs leads couples through the intricacies of a marriage built on Love and Respect. He explores the differences in men and women and how a husband's need for respect can be balanced by a wife's need for love. When these needs are mutually recognized and made a priority, a fulfilling and meaningful marriage will be the inevitable result. It's all color, photo-filled design makes it inviting for couples to look at together. It's engaging message validates the core needs of each spouse and gives a message of hope, encouragement and practical time-tested solutions for every marriage rather than focusing on placing blame or judging. It's ideal as a gift for dating or engaged couples, as well as a wedding or anniversary gift. It's elegant design invites the recipients to open, read it together and leave out as a display for others to take a closer look at what it means to love her and to respect him.